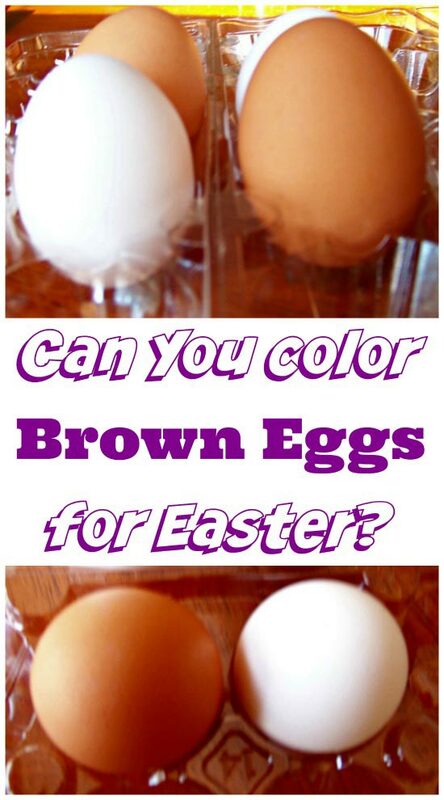 Can you dye brown eggs for Easter? Thanks to my not-so-quick thinking last Easter, we were treated to an unexpected science experiment. Plus a few more fun items I still wanted to tuck into the baskets! Well, I guess EVERYONE who visited Target had eggs on their list too because when I got to the dairy department, there were only brown eggs left on the shelves. Can You Color Brown Eggs for Easter? "Mom! The eggs are brown?!!!" So I remind her that yes, eggs come in two colors -- white & brown. "But can we dye brown eggs?!" 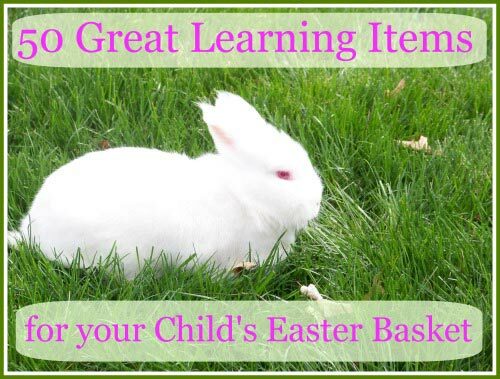 In addition to having an Easter Egg hunt each year (grab your FREE set of egg hunt clues here! ), we also enjoy dying eggs as one of our family traditions. However, this was our first ever attempt at dying brown eggs. Luckily, we had a few white eggs in the fridge from the last shopping trip! This was perfect because we wanted to be able to compare how well the dying technique would work with both egg colors. Below you'll find out what we used to dye our eggs, how to set this up as a mini-science project for your kids and also links to affiliate items we used for your convenience. We didn't use anything fancy for dying -- just the regular food coloring mixed with water/vinegar. 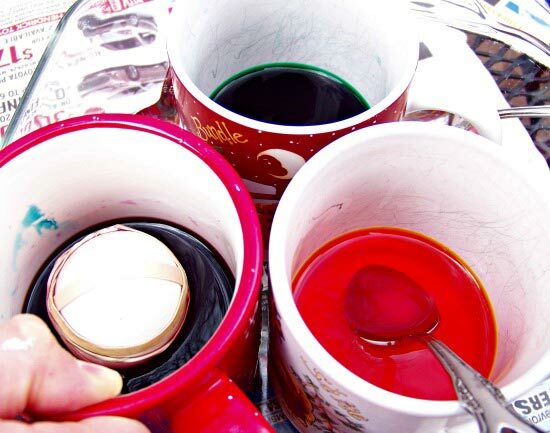 You'll find the mixture details on the food coloring box you buy. My daughter chose two colors: a pinkish dye that she mixed herself and the light aqua blue that was listed on the food coloring box. First attempt: We placed both eggs in the dark green dye for 3 minutes and let them sit. 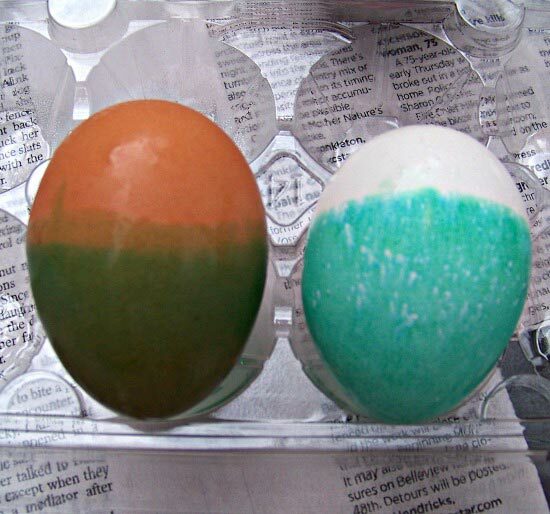 Result: Once they were removed, you can see that the green dye DOES work on the brown egg! I was actually a little surprised at this. 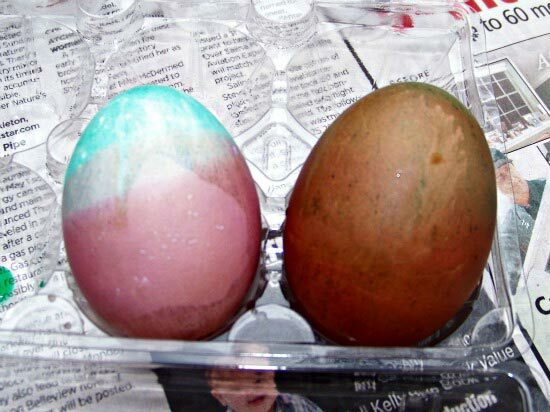 Plus, I think the green dye looks more uniform on the brown egg vs. the white egg -- you can see quite a few white spots showing through which I'm sure we could hide if we let it sit in the dye longer or put it in for a second dunk. Second attempt: My daughter decided to dye the eggs with the light aqua on the top and the pinkish color on the bottom. Again, we left the eggs in the dye for about 3 minutes. Neither color showed up well on the brown egg -- just some light streaks of dull colored water. Even the white egg should be left in longer for the light aqua to show up better. The pinkish color shows up nicely but still with some white spots. So, can you dye brown eggs using food coloring? They may not look very spring-like in their color (I would suggest a dark green, deep red or midnight blue), but you can still enjoy an egg dying session with your kids! You might also try experimenting with a mixture using more vinegar and food coloring to see if it results in a deeper color. My friend Kristen at Busy Kids, Happy Mom also ran into the issue of only having brown eggs but she used a Paas dye kit to color her brown eggs so be sure to pop over and see how pretty their eggs turned out! And if you're looking to use natural dyes, be sure to visit My Pet Chicken for 10 natural dye options for brown eggs! Outdoor Easter Egg Scavenger Hunt with Printable Clues! What a great post! This is one of my very favorite blogs to visit.